Time to say goodbye to our little apartment in Laugarvatn and head out to our next destination: The Westman Islands of south Iceland. The weather started cold and rainy, but got better as the day progressed. We had some time to kill before we had to catch the ferry to the island, so we made some obligatory stops at some waterfalls along the way. 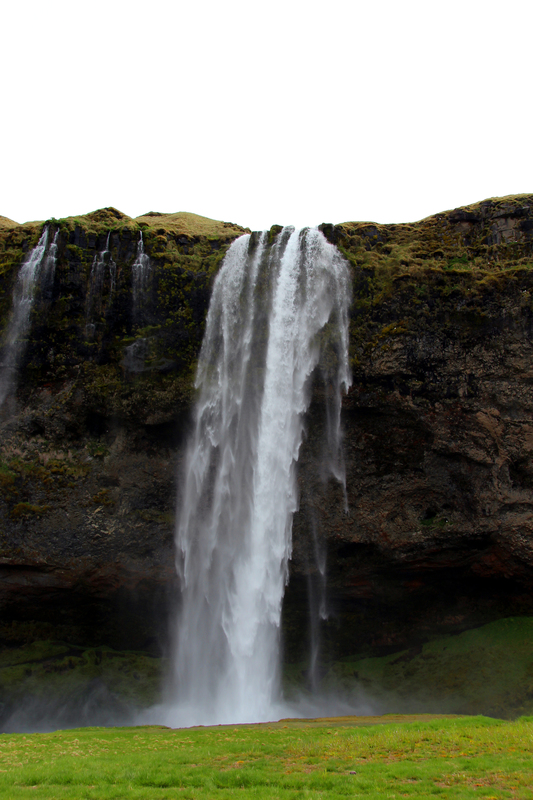 The Seljalandsfoss falls was one of the most interesting that we encountered so far. These falls are unique in that you can actually walk behind them, allowing for some interesting photographs looking out through the water. Be prepared to get wet though; my poor Canon DSLR got soaked, but seemed to survive the experience OK.
We caught the ferry for the short, 30 minute ride to the town of Vestmannaeyjar on the island of Heimay. The island is very small (about 7×4 miles in size), so it doesn’t take long to get from one end to the other. The island is nearly surrounded by jagged cliffs that are chock full of bird nests. We got out and walked along some of the high cliffs hoping to catch a glimpse at some of the islands population of colorful puffins. Didn’t see puffins, but we still enjoyed a beautiful walk along the rugged coast as we watched waves pounding the rocks. We were really wanting a good view of the island, so we climbed Mt. Hedefll, a now-dormant volcano that erupted in 1973 and devastated a portion of the town. Although the wind nearly blew us away, we were not disappointed with the view from the summit. After our climb, it was time to head into town where we would be staying with a resident family. We stayed with Heather, a marine biologist, and her two kids. At first it felt a little strange staying in someone’s home, but Heather was very welcoming and invited us to join her and her family for dinner after our arrival. Heather gave us some wonderful information about life on the island, and also provided some good intel on where/when to catch a glimpse of the islands resident Puffins. So, after dinner, we packed up the photo equipment and drove to the south end of the island where there is a short walk to an observation shack overlooking a Puffin rookery. 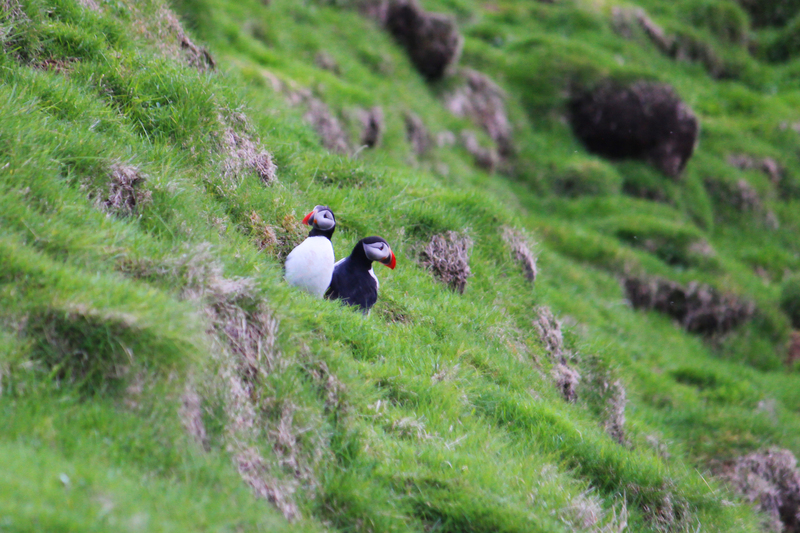 As the evening went on, we started seeing the first few puffins sticking their heads out of their nests. They would have a look around, stretch their wings, and fly down to the ocean to feed. We stayed in the Puffin blind until about 9:30 (doesn’t really get dark in Iceland in May), then headed back to Heather’s place for a good night’s rest. 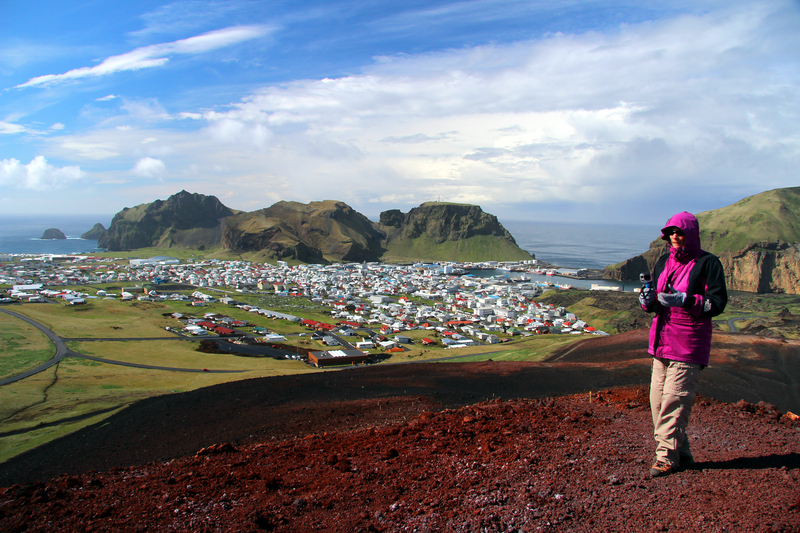 Some additional info on our stay at Vestmannaeyjar: We booked our stay with Heather through Air BnB, which allowed us to make the lodging arrangements quickly and easily. Staying with a local is a great way to experience Iceland and I highly recommend doing this at some point during your exploration of this country. 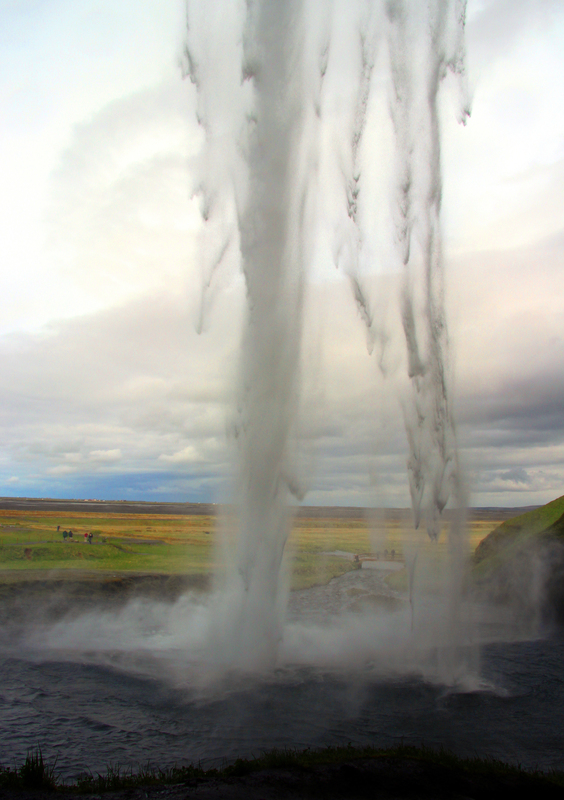 Iceland offers many opportunities to lodge with a local, and in some of the more remote parts of the country, it may be the only option available. This entry was posted in International Travel and tagged Ferry, Hedefll, Heimay, iceland, Puffins, Seljalandsfoss, volcano, Westman Islands. Bookmark the permalink.